I am writing to express the humbleness and pride that I have experienced, again, this holiday season. I work for Lockheed Martin in Syracuse, a global security company that develops and manufactures products for the U.S. armed forces and our allies. We have a year-round effort support called Adopt-A-Platoon and my department supports the Headquarters Regional South Command, Information & Support (I&S), G1 Section out of Fort Drum in Watertown that is currently stationed in Kabul, Afghanistan. Last year when we started our holiday campaign for our platoon, I received an email from the platoon’s leader, at that time, expressing to me that many of his platoon members were missing their families and children. It was then I approached Principal Tom Castellano at Clyde Elementary, where I attended, and asked if the teachers and students there would like to participate in our annual holiday drive. They participated all right. 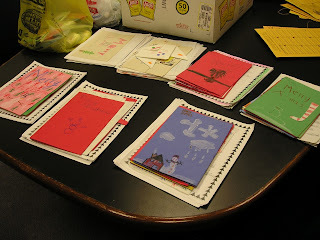 The students provided nearly 100 letters, cards, and pictures and reading them brought tears to our eyes! When I read over some of these and packed the boxes that we shipped, I began to think that how grateful we all should be. Children often say the things in the simplest way to make us see the light. This year the teachers and students again provided many letters, cards, and drawings to our soldiers in the field. It truly amazes me that when people, even children, give of themselves and no matter how small it seems, the effect that giving has on those affected. I want to thank all the administrators, teachers, and students who have participated and continue to participate in this effort, for the past two years. I also would like to extend my sincere appreciation to Mrs. Anstee’s fourth grade class. This class has asked to correspond with the platoon for the rest of the school year. The soldiers are ecstatic over this. You all made a soldier’s day at this holiday season and I am in total admiration of you all. 0 Comments to "Clyde Elementary Provides Holiday Smiles"